To see if they really live up to their huge reputation, we took a look at the HOS website, products and customer service. 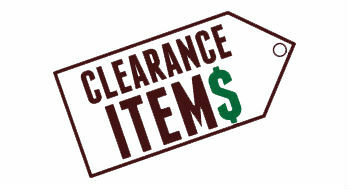 Including special deals, coupons and other ways to save money. Few chess enthusiasts get very far into the hobby without hearing about the legendary brand, The House of Staunton. It advertises itself widely as the “manufacturer of the world’s finest chess products”, and few would disagree with that claim. This brand has reached a level of prestige that few can imagine, with their products regularly being used on the sets of TV shows and movies, including The West Wing, Wild, Wild West, The Hoax, and The Luzhin Defense. Their chess piece design was even chosen by video game developer UbiSoft to serve as the model for the chessmen in their bestselling chess program, Chessmaster: Grandmaster Edition. They also provide the equipment for The United States Chess championship every year. In this review, we’re going to take a good hard look at The House of Staunton to determine whether or not they’re really living up to their larger-than-life reputation, where they excel, and where they could stand to improve. Let’s jump right in. The Staunton pattern first got its start in the fall of 1849. It was then that London chess company John Jacques first offered the Staunton pattern for sale to the public. 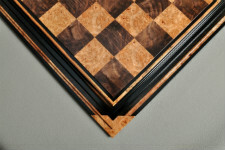 The design was invented just a few months before by Nathaniel Cook, who named it after the self-proclaimed chess champion at the time, Howard Staunton. Or so one story goes. A more likely version of events was that the design was actually designed by John Jaques himself, who, according to family, was the brother in law of Nathaniel Cook. 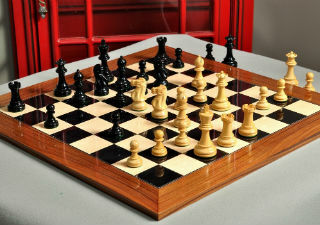 The simple design of the Staunton set was likely born as a response to negative feedback from players over the variety of impractical chess piece designs that were in use at the time. Jacques, as the owner of a chess shop, would have been making several different designs at a time for several different clients, and likely heard complaints like this from the common man all the time. So, he decided to do something about it, and, using an existing popular design as inspiration, he stripped away many of the decorative elements of the pieces which were prone to breaking off and also made the sets more expensive to produce. He widened the base of each piece and filled the wood with lead to give it a pleasant weight in the hand. After these changes, he ended up with a simplified, inexpensive set that appealed to the majority of chess players. This would be when Nathaniel Cook steps onto the scene. 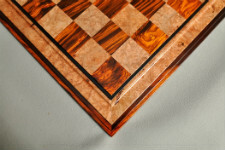 Since he had no ties to the chess industry himself, it’s unlikely that he was the original designer of these pieces. However, the design is registered in his name, so it’s likely that the two men had a pre existing business relationship. Many think that Jaques turned to his entrepreneurial business partner, Cook for a way to market the set to the masses. Cook took the idea and ran with it, securing a design registration to protect Jacques’ hard work and convincing Howard Staunton to lend his name to the design. By all accounts, this plan worked marvelously. The sets soon went into production and were distributed to retail outlets across London where they quickly caused a sensation. An advertisement was put out the day they went up for sale, and several newspaper articles were written about their unique design in the days and weeks that followed. And they’re still just as popular, if not more so, to this day! 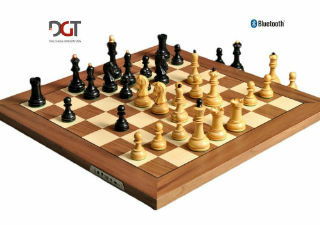 More recently, The House of Staunton as a company was founded in 1990 by the legendary chess player, Frank Camaratta. Nicknamed “The Maestro,” Camaratta is a collector of antique chess sets and an expert when it comes to Staunton and Pre-Staunton designs. After several years of researching and collecting these historical chess sets, Camaratta decided to start his own business, focused on producing chess sets that evoked the feeling and exceptional craftsmanship of the original designs made by John Jaques. He was meticulous down to the last detail in trying to reproduce sets that were just right, with the Knight being the trickiest piece of all, with its unique Parthenon frieze posture. The Knight is the most distinctive piece of the Staunton design, so it had to be perfect! In addition to producing his own modern Staunton sets, Camaratta also continues to do research on the original sets and uncover new details of their construction. For example, he was the first person to discover errors in the registration diss found on original Jaques Staunton sets manufactured in the 1850’s. He also put a great deal of time and effort into cataloging the manufacturing labels of the Jacques chessmen, work which has saved countless collectors from falling prey to fraudsters trying to pawn off their fake Staunton sets. It’s clear that Frank Camaratta has a true passion for the history of the Staunton chess set. Being one of the best known names in the chess product manufacturing industry, it’s safe to say that The House of Staunton has built quite a reputation for itself. Its products are sold not only in its own online marketplace, but also in other, independent chess stores both online and off. It is known as the “manufacturer of the world’s finest chess products”, and “the gold standard by which all other chess pieces, boards, and sets are measured.” That’s no small praise, but it’s also a lot to live up to. When customers are expecting so much of you, it’s easy to let them down with even the slightest mistake- and customers who have been dissatisfied by their purchasing experience with one of the most prestigious brands in the industry are bound to let people know about it! That’s why having a sterling reputation can at times backfire on the company, if they’re not 100% on top of their game at all times, and The House of Staunton surely has a sterling reputation. This is only a short list of some of the categories of products available on their website. Clicking through any one of these will take you to pages upon pages of products for sale, a truly dizzying selection! If there’s a specific chess product that you’ve been looking for, you’re more than likely to find it at The House of Staunton. In fact, if you can’t find it there, it’s either an extremely niche specialty item, or it just may not exist at all! – This is every bit a high-end, luxury series with the price tag to prove it. Every product in The Camaratta Signature Series is a hand carved work of art. The pieces are crafted from the finest woods, like Ebony and Antiqued Boxwood, and they each come with a piece that has The Maestro’s embossed signature emblazoned on it, lending a bit of prestige to your play. This series is also the first to incorporate The House of Staunton’s patent pending new weighting system, which drastically cuts down on the risk for hairline cracks in the pieces. 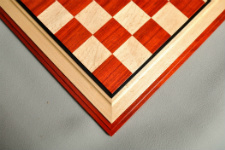 A perfect marriage of form and function, this beautiful line of products will enhance your chess experience and hold up to the rigors of continuous use over time. – This series includes historically accurate reproductions of sets originally produced by the British Chess Company. The series consists of two sets- the Royal and the Imperial. The BCC Royal Set is a reproduction of the British Chess Company set that is registered as number 177079. The pieces of this elegant set are hand carved from Boxwood and Ebony woods. The King stands proudly at 4 ½ inches tall, and they feature two different finial styles- the traditional Maltese Cross, and the Eastern Teardrop, as designed by The Maestro himself. 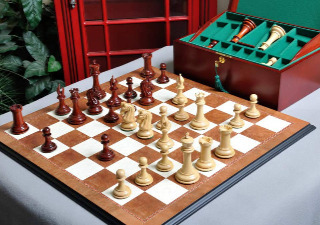 The set also includes an extra pair of Queen pieces to better facilitate pawn promotion, and a premium Red Mahogany veneered chess box for storage which features an authentic reproduction of the British Chess Company label. 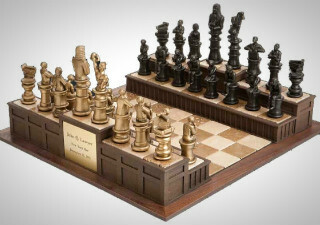 The Imperial Chess Set is an exact replica of the Imperial Chessmen that the BCC introduced to the market in 1891, which was one of the first chess sets to feature pieces that grew larger in size in direct relation to the power they had over the chessboard. In Camaratta’s updated version, the pieces are also weighted differently based on this, with the Rooks heavier than the Bishop and the Knight, which are heavier than all the minor pieces, etc. 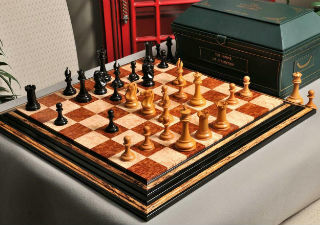 The King pieces tower a whopping 4 ⅜ inches over the board, and instead of the green baize base included on the other pieces, each King features a gold-embossed black English leather base pad for a touch of luxury. – The Camaratta Collection is a unique series of products which includes some of The Maestro’s favorite sets, as well as some reproductions of historical sets from Camaratta’s own personal collection. As you might imagine, it’s quite a sight to behold. 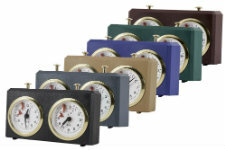 The collection includes traditional Staunton sets, the Northern Upright style sets that predate the Staunton design, and more avant garde, modern sets. 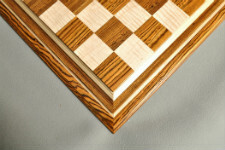 – This collection features chess pieces and sets that will never go out of style. Some are reproductions of historical sets while others are new designs, but all look equally at home in this century as the last. – The Exotique Collection features sets that are, as you may have guessed from the name, a little bit unusual. 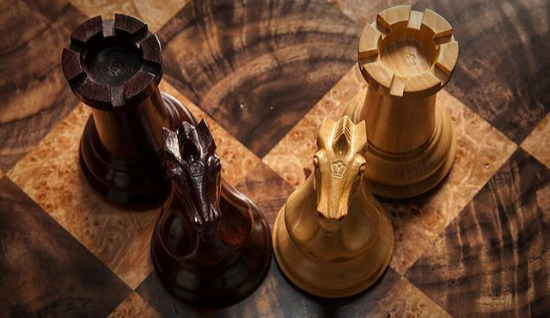 Whether it be their design, the woods they’re carved from, or something else entirely, each of the Exotique sets brings something unique to the chess table. 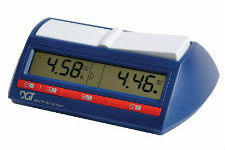 In addition to their own in house brand, The House of Staunton website sells numerous products from other brands, including chess clocks manufactured by Chronos, DGT, Zmart, BHB, and others, chess software from ChessBase, Convetka, and Chess King, and Chess DVDs from a wide variety of different production companies, like ChessLecture.com, ChessDVDs, iChess.net, Killer Chess,Chess King, Chessmates, Disney, Kopek Chess, ChessBase, Broadgreen, and many more. Their Chess book section also contains instructional books written by many different expert authors. From this wide selection, it’s obvious that The House of Staunton offers the top quality products in every category, whether they’re produced in house or by another brand. The House of Staunton has an exclusive program for its best customers called The HOS Collector’s Club. You may become a member by paying a one time fee in exchange for a lifetime membership into The House of Staunton Collector’s Club. The benefits of membership are many, with the primary one being a minimum discount of 10% on all House of Staunton brand chess equipment. This discount will apply to all purchases the member makes for the rest of his or her life, so this benefit alone can easily exceed the cost of the membership fee after just one or two purchases. The Collector’s Club discount can also be combined with other offers and sales on the website, saving you even more! Members will also receive significant discounts on already-discounted closeout merchandise, as well as early notification when sets are about to be retired or discontinued, which does sometimes happen. On the other hand, HOS Collector’s Club members are also the first to know when new sets are about to be introduced into the store lineup! This advanced notice helps members be among the first in line to buy new products, which will help them secure those coveted low production numbers that are so valuable among collectors. From time to time, you may be able to find a coupon code to use on your House of Staunton purchase. These codes may offer you anything from free shipping to a certain percentage off your whole order. They can be difficult to find, though, and they’re not available all the time. To save you some time and money, we have an exclusive coupon code for our readers to use on their next House of Staunton purchase. Just put in the code CSCOM at checkout to automatically get 10% off your total order. Not a bad discount for a moment’s work! Generally, people don’t shop at The House of Staunton to find a good bargain chess set, although there are many good deals to be found. 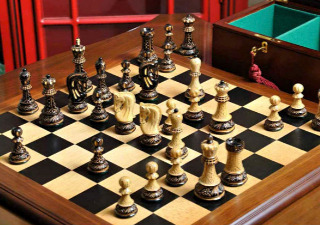 This brand is more known for producing high quality, heirloom chess sets at a price point to match the care and skill that went into crafting each one. However, there are a few ways to get a great deal on one of these luxurious sets if you know where to look and get a little bit lucky. 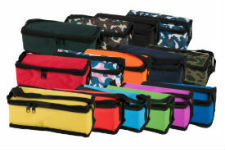 The first way to save is to keep an eye out for sets that are being discontinued. It doesn’t happen very often, but when it does, you can snag a ridiculously good deal on chess sets that would normally be twice as expensive as they are on the clearance rack. Remember that HOS Collector’s Club members get early notification of when products are about to be retired, so it may pay off to buy a membership. Even though it costs a little bit more up front, it will put you at the front of the line when products are marked down for fast sale, and you’ll easily be able to make up the money you spent on the membership and then some with the savings on your discounted set. Another way to save money on quality chess sets is to shop the Sales. The House of Staunton will frequently have special discounts, coupon codes, and sale pricing on certain items, but it may not be announced on the website, so you’ll have to keep checking the listings of products that you’re interested in to see if there’s been any change in price. This requires a significant investment of time and energy, but the savings you’ll be able to secure may be worth it to you in the end. House of Staunton’s customer service department is easily reachable by phone or email on business days between 9 am and 5 pm. They are happy to help customers with all sorts of issues, including questions about products, facilitating returns and exchanges, or even just helping to navigate the website. If you have a question, they will be your first point of contact. In our interactions with them, we have generally found them to be helpful and friendly, even if they are a bit slower to respond than some other customer service departments we’re used to. Before you contact customer service directly, there’s some information that you may want to know to help answer some of the most commonly asked questions regarding order cancellation and returns. First of all, if you want to cancel an order you placed, you must do so before it goes to the warehouse for processing, since once that happens, it can no longer be canceled or modified in any way. So, if you think you need to change or cancel your order, call customer service as soon as possible! If you need to return or exchange an item, keep in mind that you have 30 days from the time your order is shipped in which to submit a return request for your item. However, if your item is damaged, you only have 7 days to inform them of that fact. Once your return is authorized, you’ll have 2 weeks to send it back to The House of Staunton distribution center. If it is not received within that time, the return will be canceled and you might not be able to return it at all, depending on how long you waited the first time, so make sure to be punctual when mailing out your returns. All shipping charges will be the responsibility of the buyer and non-refundable, and your order will be subject to a 15% restocking fee, unless you’re making an exchange or returning a product in exchange for store credit. The House of Staunton website is a wealth of products and information, so much so that one could easily become overwhelmed! The product listings are very informative, and the wide variety of pictures available from all different angles is one of the greatest strengths of the website design. 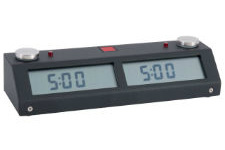 It is easy to search for different products of a particular category simply by hovering over the left part of the banner that reads “Shop by Department” and with just a few clicks, you’ll find yourself looking at Chess Clocks, Software, or whatever else your heart desires. All in all, the website has adequate features and categories to make it easy enough to find what you’re looking for, and the listings provide enough information to make an informed choice about which products you’d like to purchase. Something that leaves a bit to be desired, however, is the site’s search feature. It has a tendency not to display all the results relevant to a specific keyword, and if you’re looking for a specific product, that quirk can make it very difficult to find consistently. However, the unique “Build Your Own Chess Set” feature that is available on almost every product more than makes up for that minor setback. This is a feature that we haven’t seen implemented anywhere else, but it’s a stroke of genius. It’s probably only a matter of time before all of the other chess equipment websites start to copy it. The magic of the Build Your Own Chess Set tool is that it lets you have full control over each aspect of your chess set. You choose each element that goes into your set, including the pieces, board, and box. The tool offers some recommendations based on style and material that you can fall back on if you’re unsure, so it effectively offers all the ease of a prebuilt chess set with much more room for customization. 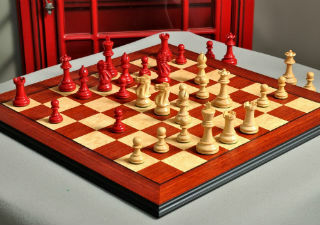 This lets customers craft A House of Staunton chess set that fits their own unique style exactly. 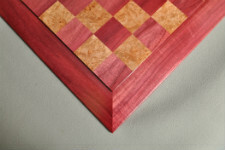 All domestic orders from HouseofStaunton.com are shipped using the customer’s choice of FedEx or USPS. You may also select two-day or overnight shipping option for an additional fee if you’re in a rush. You may need to sign for your package when it arrives, so plan to be home to receive it. 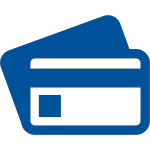 Payment Methods accepted by The House of Staunton include all major credit cards, House of Staunton gift cards, PayPal, Amazon Payments, money orders in US Dollars, personal checks, and money wires for orders over $200.00. Something for everyone, really. 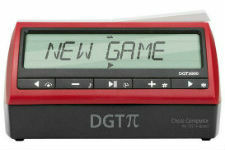 They also have layaway options available for purchases of $300.00 or more. A one year warranty applies to all House of Staunton branded merchandise to insure that it is free from all manufacturing defects, like hairline cracks in the pieces or improper weighting the comes loose and rattles. It won’t cover things like lost pieces, boards ruined by improper waxing, chess boxes that were gnawed on by your dog, and other things that were caused by user error rather than a manufacturing defect. After casting a critical eye on each aspect of The House of Staunton’s brand, what can we determine? 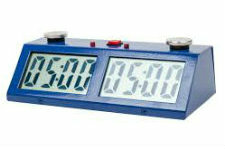 Do they still represent the gold standard by which all other chess products are measured? The House of Staunton is undoubtedly a powerhouse of a brand. 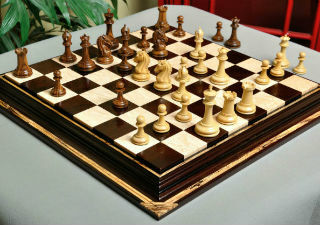 It has attracted customers from all over the world with its attention to detail and impeccable quality chess products. Because of all this and more, it has built up quite a name for itself, a reputation which we have found is still deserved. 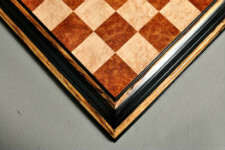 Chess products made by The House of Staunton are still as luxurious and high quality as they have always been. Their shop features many one of a kind sets that are hand carved to order on a bespoke basis and made out of unique high end materials like ancient mammoth ivory. Their continued attention to getting the details just right in their historical reproduction sets and in every piece that is mailed out to a customer puts them at the top of the pack. The variety of products that they stock is unmatched. 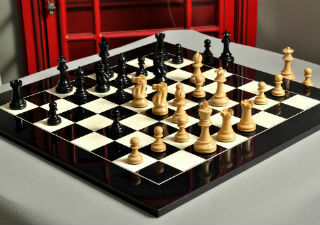 The House of Staunton is truly a one stop shop for all of your chess equipment needs. You could go from knowing nothing about the game of chess to becoming a skilled player just by buying their Chess Sets, Chess Books, and Chess Software. You really never need to shop anywhere else! The website is user friendly enough that you can find anything you want after just a brief search. If you plan to be a longtime customer of The House of Staunton, or even if you’re just planning to make one large purchase, joining The HOS Collector’s Club is a great way to save some money and get some great benefits in the process. Membership lasts a lifetime and it will pay for itself in no time. The House of Staunton has a dedicated team of customer service representatives making sure that their industry-standard return policies and warranty are handled properly. They are friendly and reasonably easy to deal with. Their shipping methods and payment options also give the customer a lot of choices, and surely everyone will be able to find something that works for them. Even after all of its long years in business, The House of Staunton hasn’t lost sight of what makes it great and sets it apart from all other chess product stores- it’s commitment to luxury and historical accuracy. It also hasn’t forgotten its obligation to make sure its customers are happy and treated fairly. 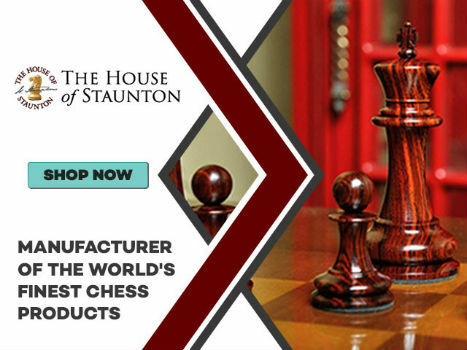 With these two pillars of good business in place, we’re happy to recommend The House of Staunton as One of the Best Places to Buy Your Chess Equipment Online.